The Sheridan area has winter activities on offer for all sorts. If you’ve had your fill of snow for the moment, step indoors, find the nearest fireplace, and enjoy these winter activities for the whole family! It’s no secret that a homemade gift crafted with care is a sure way to show loved ones you care. This winter, upgrade that love note or Christmas card from construction paper, googley-eyes and glitter to a hand-crafted pottery project made under the watchful eye of Red Bison Studio’s master potter Stephen Mullins, whose work has been displayed in over 30 galleries and retail stores across the country. Red Bison Studio is a brick and mortar pottery shop and community clay center that offers a variety of original mugs, pints and apparel for sale, as well as popular community classes in the evenings. 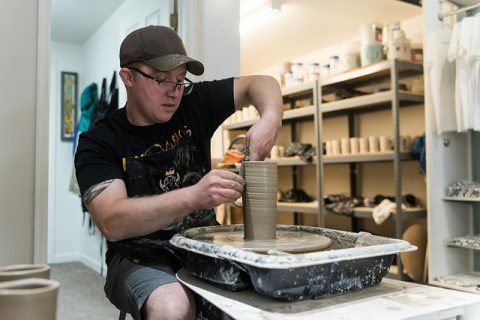 Check redibsonstudio.com for the current class schedule, which includes 4-week beginner wheel throwing classes, parent and kid classes, specialty projects and date nights. Still want to get crafty but prefer to do so with a glass of vino in hand? 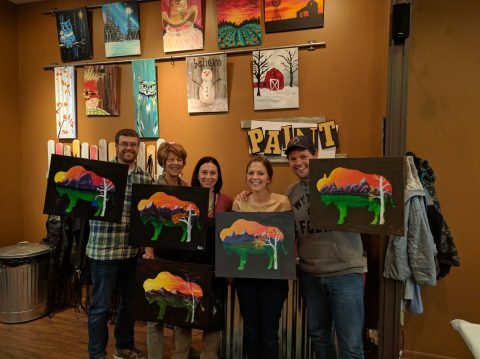 The Paint Post downtown is your one-stop shop for getting creative under the auspices of a little liquid courage, no art experience necessary. Instructors lead groups through the process of recreating professional paintings then they send you home with your own work of art. Simultaneous wine-drinking is, of course, optional, and wine-free kids and family events abound. Check the paintpost.com for class and event schedules, or to book a private event. Sheridan’s new Cottonwood Shop and Verdello’s Olive Oils & Fine Foods downtown offer cooking classes for all levels. Verdello’s has highest-quality oil and vinegar varieties on tap as well as cooking instruments and ingredients from around the world, and The Cottonwood Shop has for sale everything you’d need to open your own restaurant. Join Cottonwood or Verdello for an evening of cooking, eating and enjoyment while learning the art of making holiday pies, French Crepes, or Indian breads. 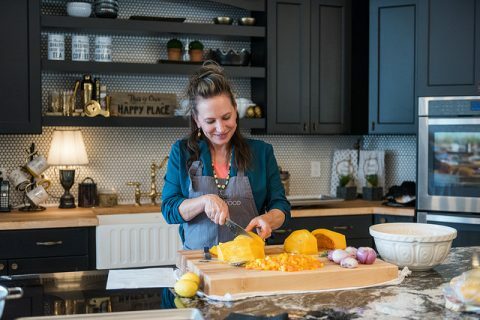 For a complete list of upcoming culinary adventures, visit cottonwoodshop.com and verdellowy.com. Sheridan offers plenty of good eats you don’t have to make yourself. Frackelton’s and Birch provide elegant dining experiences from renowned local chefs. For down-home cooking your grandma would be impressed by, head to The Cowboy Cafe (try the strawberry rhubarb pie and the cheese & gravy-smothered chicken fried steak), or P.O. News for their signature burgers and breakfasts. The Pony Grill & Bar is a great spot for watching the game while munching on hearty western fare. Winter is the perfect time to see some local theater from Sheridan’s vibrant stage scene in one of two elegant historical theaters. The Carriage House Theater, built in 1920 on the grounds of the historic Trail End State Historic Site and Kendrick Mansion to house horses and buggies, is run by a community organization of die-hard stage folk. They put on small, intimate shows throughout the year. Check sheridanstage.com for this season’s shows. The adjacent Trail End Museum and Kendrick Mansion offer historical tours throughout the year as well, closing for the winter season on December 14. Trailend.co has information on the site’s history and community tours. 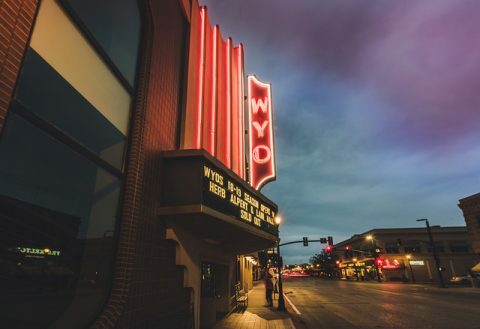 The WYO Theater opened its doors in 1923 as a vaudeville house, and the community has lovingly maintained its stunning, original art-deco architecture while expanding the theater into a full-fledged performing arts & education center spanning multiple historic buildings. The WYO main stage seats 483, and an adjacent blackbox theater seats put to 125 for smaller and experimental shows. The WYO is awash in activity every season, and offers a slate of popular shows and musical acts, dance performances and classes, community arts events and workshops throughout the year. wyotheater.com has ticketing and schedule info for all events and activities on-site. Indoor activities can’t all be about making art, eating and drinking (though a combination is highly encouraged). Sports fans, future mountaineers and absolute beginners can challenge themselves this winter and build up a sweat at Sheridan’s new indoor-climbing gym and fitness center, Bighorn Summit. 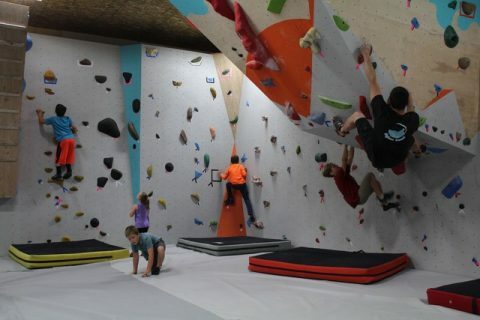 The gym offers free-climbs and instruction on their state-of-the-art rock wall, yoga classes and events, an array of creative fitness classes and cultural events, youth climbing teams, after-school programs, summer camps and birthday parties. Head to Bighornsummit.com for an exhaustive list of everything on offer. 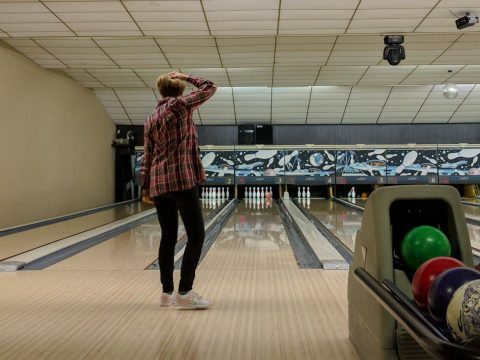 Bowling at the 20-lane Cloud Peak Lanes is great for groups, and offers a variety of entertainment. Bowling leagues exist for all ages; pool tables, an arcade, and food and drink at the Spare Time Lounge & Grill (Happy Hour 5-7PM) ensure that there’s something for everyone. Looking for a gift for your bowler? Visit the Pro-Shop for competitive prices on bowling balls and accessories. Drilling is free when you buy a ball. Visit cloudpeaklanes.com for more information. Escapade WYO offers a one-of-a-kind escape-room experience for the whole family. 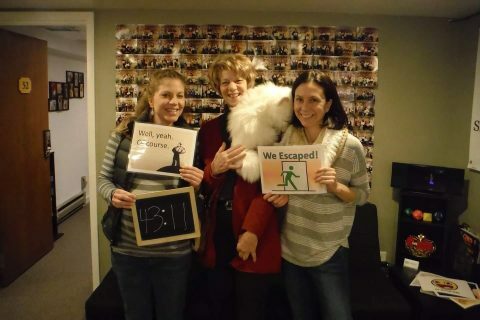 Groups of 3-7 are tasked with solving mind-bending puzzles and navigating complex narratives designed by Escapade, the end game being to escape from one of their multiple, themed puzzle rooms. Every card, board and role-playing game imaginable is on sale on-site, and Escapade holds group events where entrants can play classic board games like Settlers of Catan, through to the latest and greatest the gaming world has to offer. Check escapadewyo.com for schedules, tickets and information. The Brinton Museum, nestled in the foothills of the Bighorn Mountains and only 20 minutes from Sheridan proper, is a sight to behold. The grounds of local folk-hero Bradford Brinton’s historic estate have a sprawling, colonial mansion that offers guided tours— with a vital piece of local history around every corner. 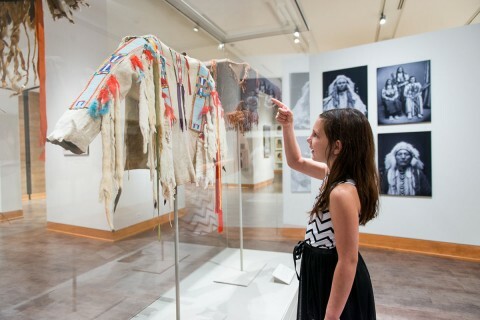 From the mansion tour head across the lawn and gardens to the impressive, walled-earth modern museum building, which houses a special historic collection of Native American Art, the work of renowned western painters and artists, and myriad shows and events throughout the season. After a stroll through the museum grab a bite at the Brinton Bistro and bask in the beauty of the Bighorns through the bistro’s windowed-walls. The Brinton closes for winter just before Christmas on December 24, re-opening mid-March. Head to thebrintonmuseum.org for admission and information.